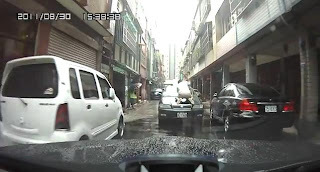 Check out the video after the jump of this disturbance that took place somewhere in Taiwan. While we can't piece everything together, a small Toyota sedan is chased by two men, one with a baseball bat. A few minutes into the video, the man with the bat jumped onto the green sedan and smashed the windscreen before the moving car strikes the vehicle filming the kerfuffle.